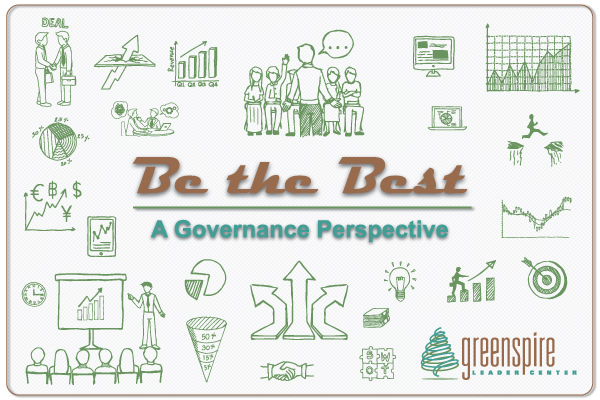 As a member of hospital or health system governance, have you asked recently, “Why aren’t we the best?” Or, more positively posed, “What will it take for us to be the best?” Operating our organizations is not an easy task. Achieving superior performance is a real challenge. Effective population health, accountable care, integration with and among physicians and other types of providers remains elusive, quality remains more assumed than proven, and payment reform is inevitable. Add to this mix, the need now to understand and excel in this emerging era of consumerism and retail healthcare. Today, governance and management have major decisions to make in order to be, at a minimum, relevant and preferably, a major player. If the following perspectives have not already formed the basis for vision, strategy and execution, it might be valuable to bring sharp focus to them now. Perspective #1 – Identify the optimum, or ideal, state for an organization to be positioned to accept responsibility for care of a defined population, at costs that the market will accept, and consumers will seek. Such care consists of the full range of providers, such as, and including: preventive; primary; acute; urgent; emergency; tertiary and beyond; rehabilitative; home care; skilled nursing; palliative and hospice. Sufficient identification and management of clinical resource use via evidenced based care, order sets, care maps and other techniques is fully embedded for inpatient and outpatient care. Financial risk is a part of doing business. Perspective #2 – Your region or service area – what does it look like relative to the above optimum state? How many different providers are functioning across the continuum of services and to whom are they accountable? How many are connected by ownership, partnerships, operating agreements, performance contracts, etc., and share mutual accountability (risk and reward) for the services needed by a defined population? How do costs of care compare in your service area vs. best practice? Are employers satisfied with the value proposition available to them? Are consumers satisfied? Are insurers taking steps to impact both cost and quality, as has government? Perspective #3 – What does your organization look like relative to the optimum state and within the context of Perspective #2? How well does your organization manage the care of those you employ – your ”in-house defined population?” Is your organization a “best practice” ready to show employers and consumers that selecting your organization is in their best interests? Perspective #4 – What do the consumers of today and tomorrow seek in a relationship with health care providers – physician, ancillary services, urgent care, etc.? Think of how people are using smart phones, tablets, social media and other tools in their daily lives and assess how your organization matches up with that preferred use. Look closely at how the retail world has changed and continues to change as an indicator of the divide that exists between a hospital-centric model and non-hospital/healthcare transactions. Perspective #5 – Why not be the best? Someone will occupy that spot. About the author: John Whitcomb serves as the Governance Development Program Director for Greenspire Leader Center. His interests are to assist senior leadership and governance of healthcare organizations that see to optimize their leadership practices. His extensive experience has solidified his belief that organizations success depends more on leadership than any other factor. The basis for this philosophy resides in leading, diagnosing and assisting over 40 hospitals, health systems and health care organizations.